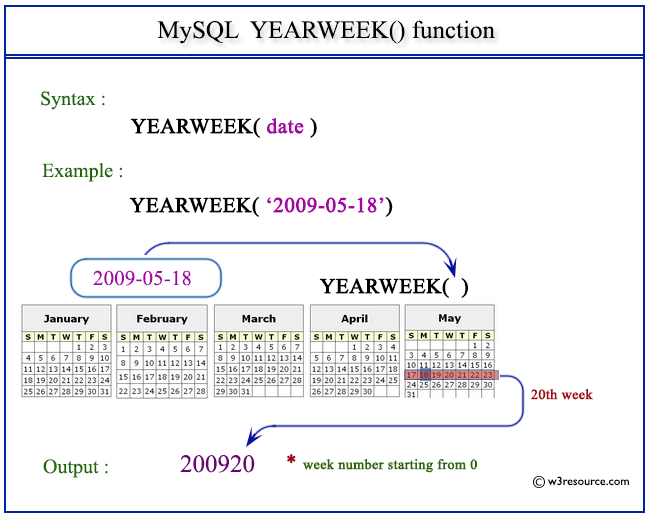 MySQL YEARWEEK() returns year and week number for a given date. A date or datetime value from which to extract the year and week. The following statement will return the year and week number of the date 2016-05-19.